Contemporary and professional! 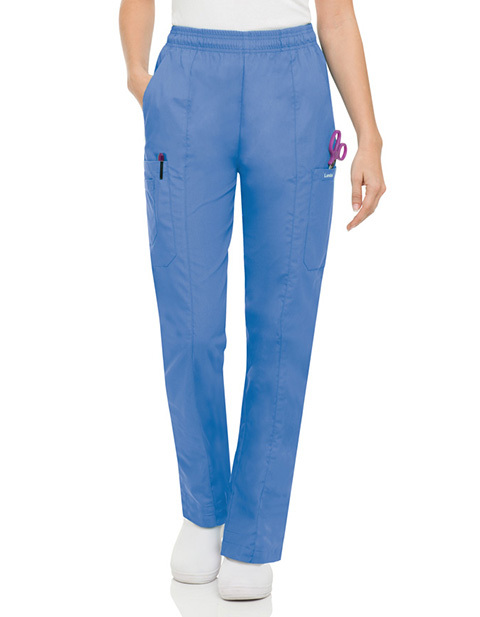 Landau women's five pocket cargo elastic waist scrub pants are a great blend of comfort and functional features. With an elastic waistband and hidden drawstring get the ultimate fit you desire while edge-stitched seam & slightly tapered leg add style and functionality to the garment. Moreover, you can also keep your accessories and supplies securely in the side and layered pockets.